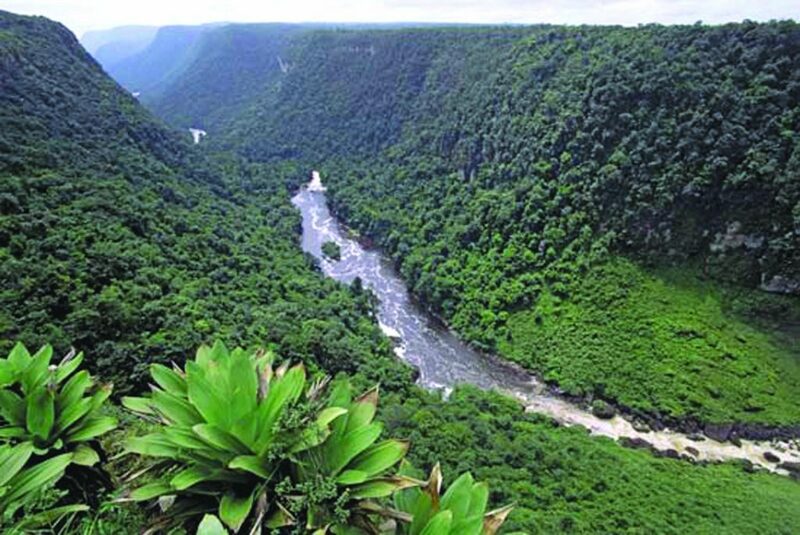 In many ways the country of Guyana is unique. Considered part of the Caribbean region even though it is on the South American mainland. The only English speaking country in South America more interested in cricket than football. On the lowest population density countries on earth (just behind Iceland) but with 30% of that population residing in the capital city of Georgetown. However in the area of Credit, Guyana is proving again that a Creditinfo Credit Bureau can by the driving force behind market development and the opening up of affordable credit to all. Indeed since the establishment of Creditinfo Guyana in 2013 the business and industry has changed almost beyond recognition. From a market environment where is was so challenging that it required the passing of legislation to legally mandate the use of credit reporting products in the financial sector, to the present day environment marked by an open, forward looking mind-set in which Creditinfo’s core portfolio and value-added products are a perfect fit for the needs of various industry sectors. We are delighted to announce that in October 2018 Creditinfo Guyana was able to close multiple sales deals for 3 of Creditinfo’s value added products; Monitoring, Benchmarking and IFRS. Creditinfo’s access to market data and demonstrated expertise drove the development of highly predictive ECL (Expected Credit Loss) models for IFRS-9 reporting and compliance, which has been bought by a selection of both large and small lenders. Indeed some of the larger banks who initially thought themselves quite capable of developing their own internal models are now turning to Creditinfo for assistance as they recognise that our IFRS models are the most accurate available. Our Benchmarking Reports which capture market specific data on a variety of performance metrics has captivated most of the mainstream lenders in the financial sector and has already been sold to a few who lost no time in adding this formidable asset to their toolkit for gaining competitive advantage in this, small but fiercely contested market. Our Monitoring Solution has recorded significant buy-in and sale in the financial sector and is expected to drive a more profitable hands-on approach to the management of individual loan portfolios. Simply by showing potential clients actual monitoring results we have found the sales process almost becomes easy. These successes, which will deliver steady annual recurring revenues from the value-added products themselves, have the additional benefit of delivering significantly increased revenues from the use core Credit Bureau Reports as they help drive credit in the market. A double win if you like for Creditinfo. It is important to note that these sales are not driven by mandatory legal requirements but rather by the actual choices and preference of our subscribers responding to our sales efforts. We have driven market change in Guyana and are particularly proud of this. Most importantly though is the extent to which Creditinfo is now interwoven in the very fabric of the Guyanese credit market itself. We have evolved from being a mere data collector and aggregator who is simply a vendor of legal mandated data driven credit reports. Creditinfo Guyana is now viewed as an active partner for Credit providers. Creditinfo’s expertise, experience, knowledge and unrivalled access to market data can positively affect the daily operations and profitability of our clients. Indeed we can positively impact the entire market through our introduction of innovative, realistic and modern solutions. Creditinfo Guyana is become the respected authority in Credit whom the banks and other providers turn to for assistance. Internally we wish to share what we believe was a very significant factor that has brought about this positive change for Creditinfo Guyana; “One Creditinfo”. The new, increased thrust of full support in product trainings, personal site visits, and not least of all the open-door attitude which has unlocked access to some of the more experienced thinkers and planners in the group has helped transform the efforts and the approach of the local office. The direct result – hard won as it were by logging endless hours, days, weeks and months of tireless sales presentations, marketing initiatives, public relations outreaches and some really innovative out-of-the-box thinking has been rewarded by sales in not one but three different value-added product categories. As an international company, Creditinfo has first-hand experience in many different kinds of markets, each no doubt at different levels of development. By deploying the full strength of “one Creditinfo” we can play a leading role in the development of all our markets and position Creditinfo as the trusted authority in Credit Risk. Each and every one of Creditinfo’s markets is unique in its own way. However Guyana has shown that by working together as One Creditinfo we can drive the development of the credit industry and position ourselves as trusted partners in the industry. This not only drives financial performance for Creditinfo but improves our strategic position greatly. Guyana has proven that this is possible; let us replicate this in all our markets.